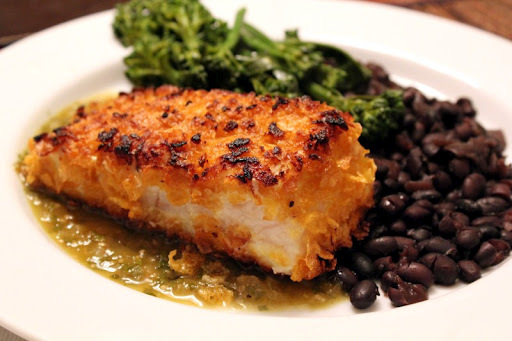 Posting these fish-dish roundups is becoming a habit with us. Hopefully there will be many more editions to come! 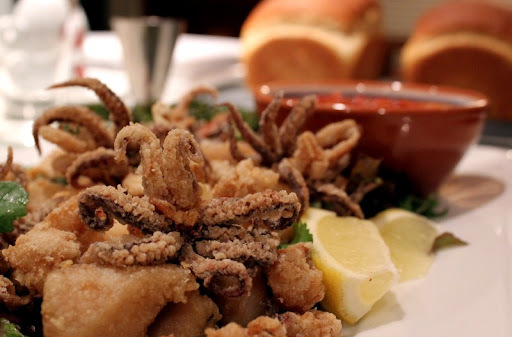 This round opens with a Seafood Fritto Misto - an Italian-inspired dish of lightly-coated and fried fish (in this case squid and black gill). Squid tentacles always look cool, and they tasted great, but the star of the show was the black gill. 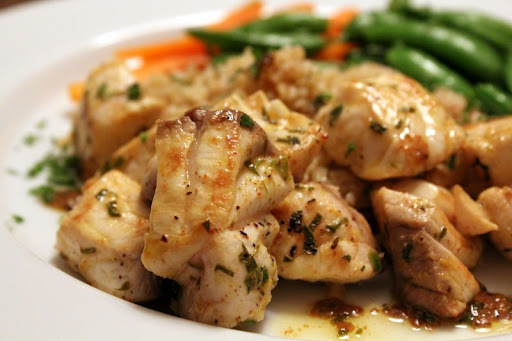 While the chunks of fish weren't much to look at, they were moist and full of flavor. This was our first time trying this take on a Rick Bayless recipe, and it was great - even though an initially too-hot pan caused the outside flakes to over-caramelize. The way the cornflakes went golden-orange was beautiful and also added structure and complexity of flavor to the fish. Combined with the salsa verde, it was very good indeed. We have a burgeoning love affair going on with Claudia Roden's New Book of Middle Eastern Food. It has spawned a number of great meals for us so far, including the fish marinade and flavor profile (lemon, garlic, cumin, paprika, marjoram, mint) for this dish. This dish, from James Oseland's Cradle of Flavor, is a rhizome-fest - using ginger, galangal and turmeric. We've used turmeric a lot as a dried spice, but this was our first use of fresh turmeric, and it made a big impact on us. Lovely flavor and color. This was a bit of a crazy idea, but it turned out really well. We've been loving the bay scallops we get from Catalina Offshore - particularly smoked. 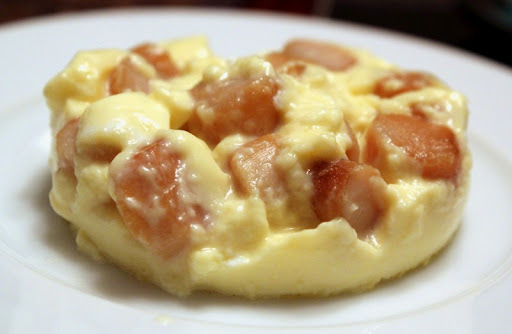 They went beautifully with the delicateness of the soft savory custard. Looks fabulous! Love the shot of the tentacles, which happens to be my favorite. Thanks, Carol! I'm a big fan of tentacles, too. I'm always disappointed when I order fried calamari somewhere and it doesn't come with tentacles. 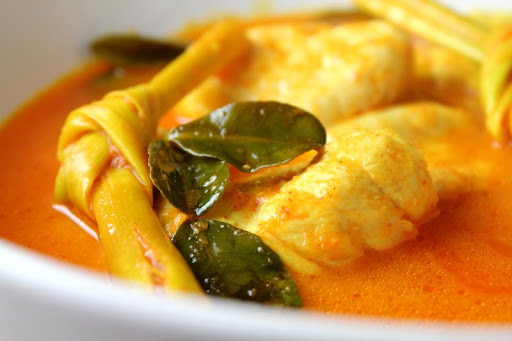 Hi ... Can you tell me what the knotted thingie in the Indonesian Fragrant Fish (Grouper) Stew is? Thanks! That is lemongrass tied in a knot.